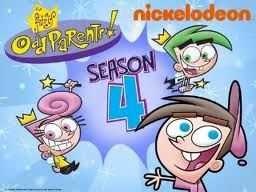 You will Watch The Fairly OddParents Season 7 Episode 17 online for free episodes with HQ / high quality. Stream cartoons The Fairly OddParents Episode 96 Take and Fake / Cosmo Rules. Timmy borrows Mark Chang’s “iFake” disguising device in order to attend Trixie’s costume party, unfortunately his lack of knowledge about Yugopotamian technology puts him in a tight spot when he accidentally puts the device in shuffle mode, turning him into different monsters; When Jorgen gets the trickups (hiccups that cause stage magician-like trick magic) he isn’t able to enforce Da Rules, so he must pass it on to his closest relative until he gets better. Unfortunately, his closest relative is his long-lost cousin: Cosmo!